Last Day of Asian Collage | NJNA is Blogging! 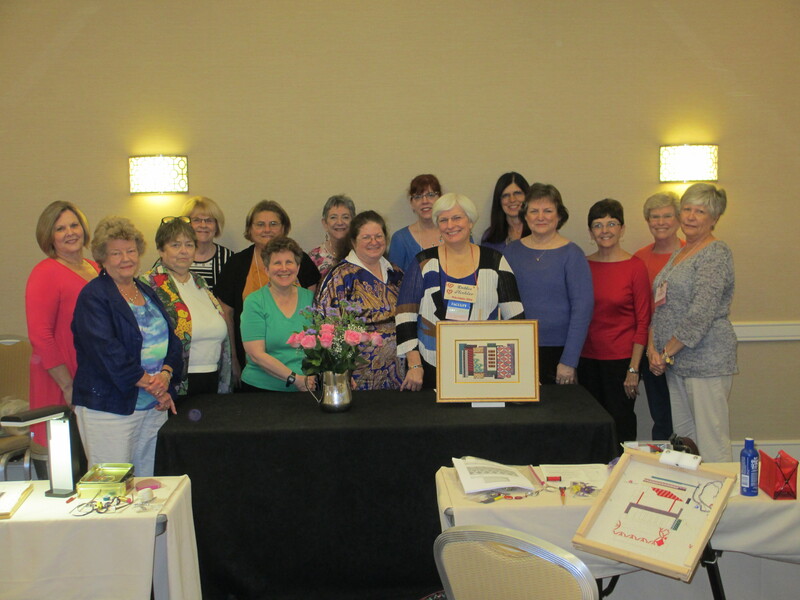 What a great day we had in Debbie’s Asian Collage class! We finished our last three sections before lunch — including the infamous double alternating nobuko (dark aqua on the left side) which I have been eagerly awaiting. Very nice textured stitch! So, after lunch, we stayed in our classroom and continued stitching whatever we needed/wanted to. Debbie walked around and helped us and entertained us thoroughly! 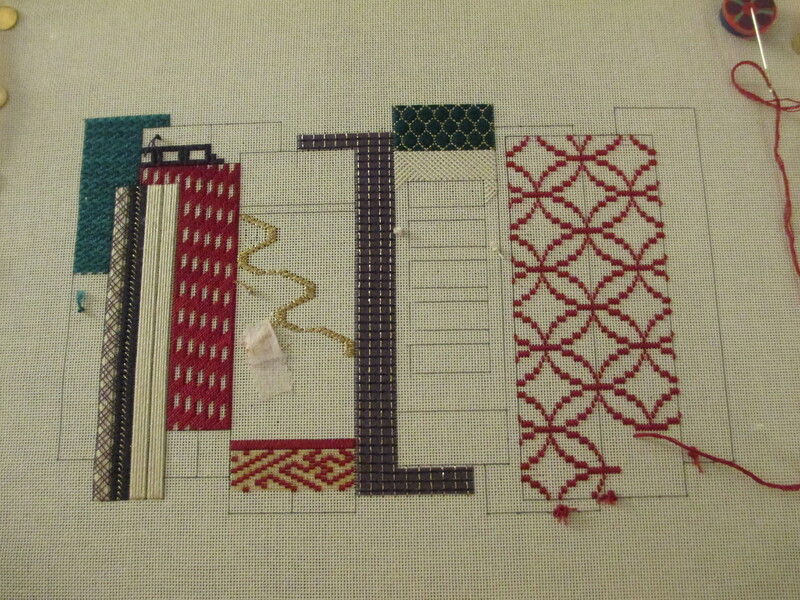 I feel pretty good about the progress I made stitching today. Progress at the End of Day 4! 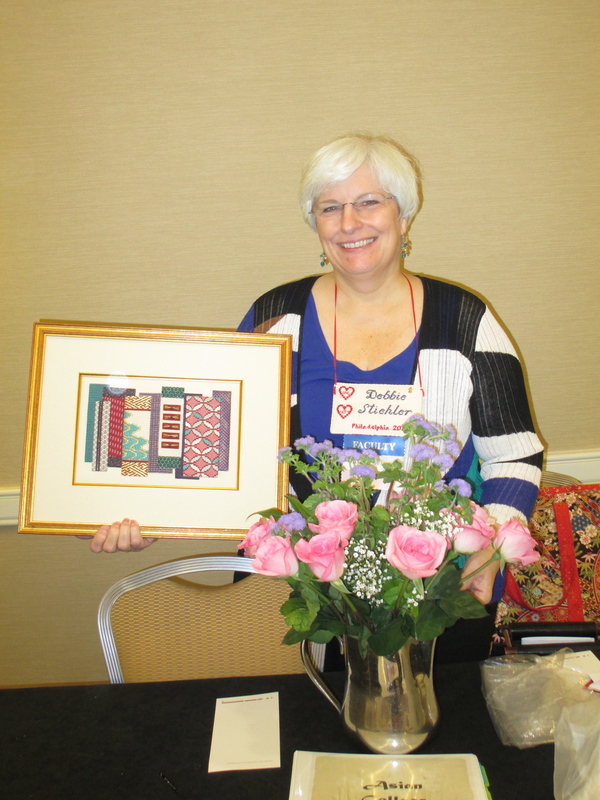 Our class presented Debbie with a bouquet of flowers to thank her for an absolutely fun class and beautiful design. We all want to do the companion piece next year — I even heard a few folks considering making a bid on a guaranteed first choice for Anaheim prize at the auction tonight! They say that it typically goes for as much as $1000. 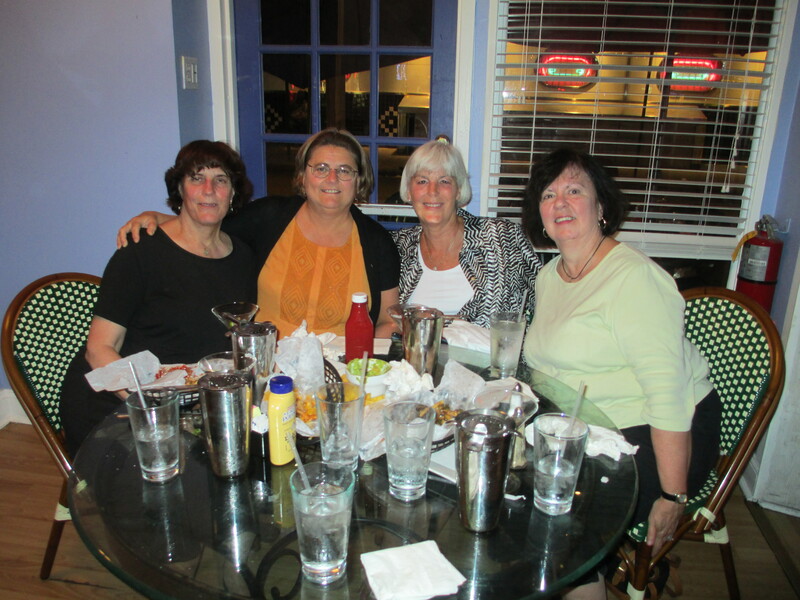 Robin, Rosie, Heidi, and Carol at Copabanana! Now I’m off to beddy because I have an early morning wake-up for a tour of Winterthur. Your collage looks great – a lot of progress has been made. Enjoy your tour.